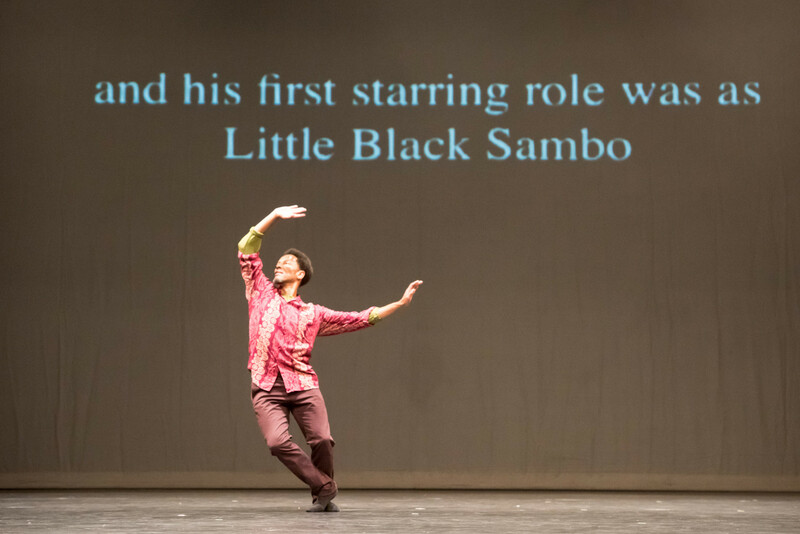 Originally part of Sadler’s Wells Elixir Festival `celebrating lifelong creativity’, this short, sweet 15 minute divertissement, cleverly put together by choreographer Jonathan Burrows and longtime music collaborator Matteo Fargion was subsequently dubbed `the best dance moment in 2014’. A little hyperbolic you might think. But in The Elders Project, Burrows and Fargion who’ve worked together for 25 years enjoying an international reputation as a duo who create delightfully off-beat work, have taken a handful of professional, retired dancers, captured their essence with a few deft brush strokes and created something fresh and new that subtly speaks to all kinds of issues about ageing. Dance can sometimes carry a heavy air of pretension. But not here where a ribald sense of irreverence prevails. Each dancer is introduced with a couple of lines – the studio room or church hall where they first remembered dancing and what they now do when not dancing – in one case, scuba diving, in another sitting in the garden nursing a glass of wine! Matteo accompanies each with a pithy spoken musical refrain sometimes echoing Kurt Weill, at other times snatches of favourites such as Claire de Lune. In between, the dancers – taken from the Royal Ballet, Second Stride, London Contemporary Dance Theatre and the Siobhan Davies Dance Company – show still continuing suppleness and flexibility despite, in one case, a bionic hip. Sometimes the action can be simply a walk across the stage. At others a lift (Namron, from LCDT declared he only accepted the invitation so he could lift Linda Gibbs which he duly did, with a beaming smile). An arm raised by the RB’s Brian Bertscher in a sweeping port de bras is met with ripples of applause from the other dancers as if in recognition of moments enjoyed, now gone. 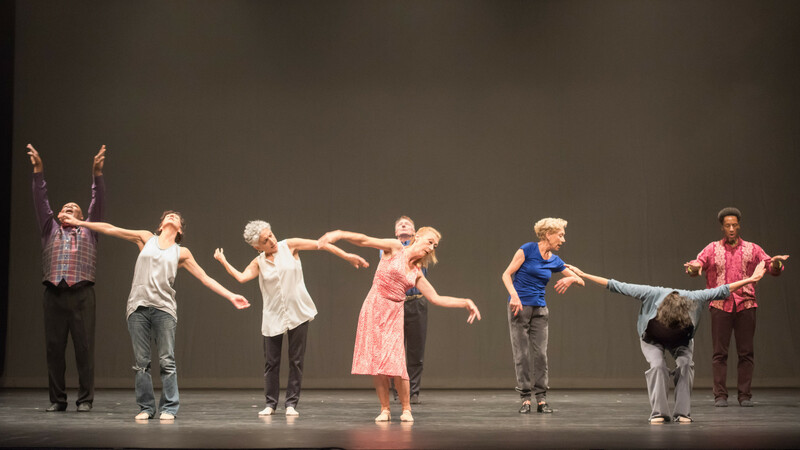 With today’s emphasis on `the third age’ – and both Sadler’s Wells and Rada now have dedicated community projects aimed at involving elderly performers – events like The Elders Project is a delicate reminder of ageing’s beauty rather than its limitations. Once a dancer, always a dancer and as the performers noted in the short discussion afterwards, back onstage again, the body remembers. This entry was posted in 2015, Reviews and tagged Jonathan Burrows, London Contemporary Dance Theatre, Matteo Fargion, Royal Ballet, Sadler's Wells, Second Stride, Siobhan Davies Dance Company, Southbank on April 28, 2015 by Carole Woddis.